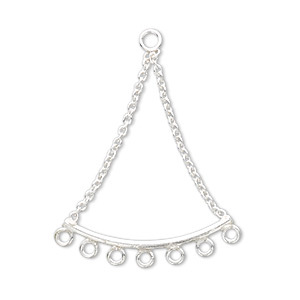 Drop, sterling silver, 29x24mm bar dangle, 7 loops. Sold individually. Item Number: H20-8829FD Have a question about this item? 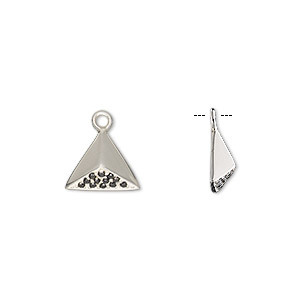 Add dangles or use to connect other jewelry components -- whatever you decide to do with this fancy sterling silver component is sure to please. Due to the handcrafted nature of the drops, size, shape and designs may vary. 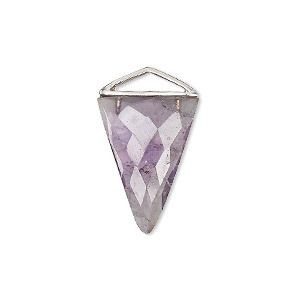 Drop, amethyst (natural) and sterling silver, 21x21x15mm-22x22x16mm hand-cut double-sided faceted triangle. Sold individually. Drop, black onyx (dyed) and sterling silver, 21x21x15mm-22x22x16mm hand-cut double-sided faceted triangle. Sold individually. 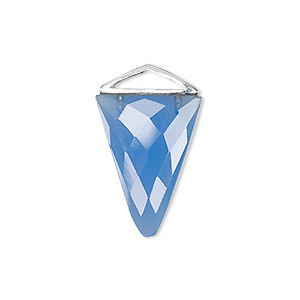 Drop, blue chalcedony (dyed) and sterling silver, 21x21x15mm-22x22x16mm hand-cut double-sided faceted triangle. Sold individually. 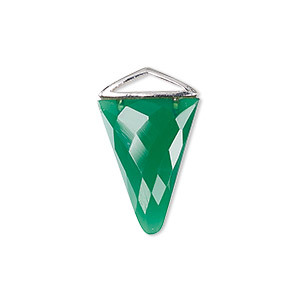 Drop, green onyx (dyed) and sterling silver, 21x21x15mm-22x22x16mm hand-cut double-sided faceted triangle. Sold individually. 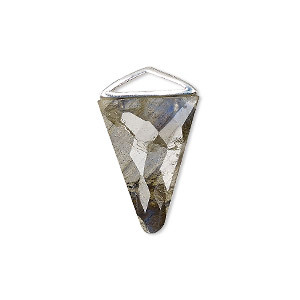 Drop, labradorite (natural) and sterling silver, 21x21x15mm-22x22x16mm hand-cut double-sided faceted triangle. Sold individually. 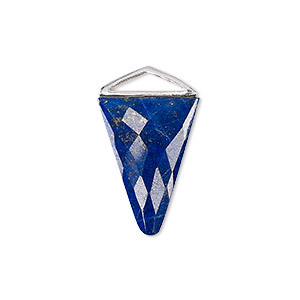 Drop, lapis lazuli (natural) and sterling silver, 21x21x15mm-22x22x16mm hand-cut double-sided faceted triangle. Sold individually. 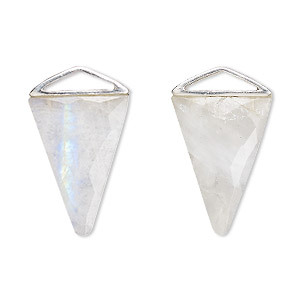 Drop, rainbow moonstone (natural) and sterling silver, 21x21x15mm-22x22x16mm hand-cut double-sided faceted triangle. Sold individually. 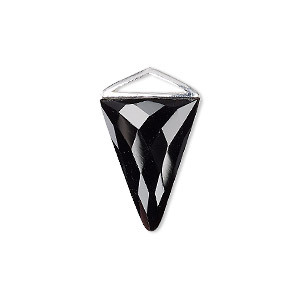 Drop, sterling silver and cubic zirconia, black, 11x10x10mm 3D triangle. Sold individually. 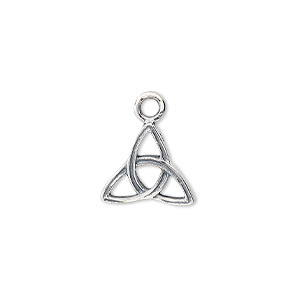 Drop, sterling silver, 13x13x13mm Celtic triangle. Sold individually. 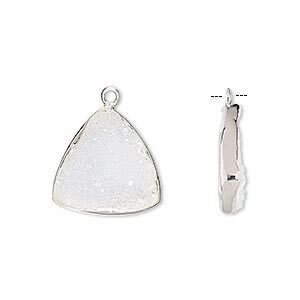 Drop, white druzy agate (natural) and sterling silver, 16x16x16mm single-sided triangle. Sold per pkg of 2.